Cognitive brain diseases and disorders have become more common in recent years, and Synapsin® can help to support the health of patients with these conditions. It is most commonly given to patients with traumatic brain injury or with neurodegenerative diseases like Alzheimer’s. Traumatic brain injury is a common problem in the U.S., occurring in 2.5 million people in 2010 and resulting in several ED visits, hospitalizations, and deaths each year. It is characterized by a change in the normal function of the brain due to some type of injury to the head. Symptoms of TBI vary depending on which of the brain’s functions are affected, and may include changes in thinking, memory, sensation (e.g. sight, hearing, balance), language, and emotion. They can range in severity from mild (temporary) to severe (extended). It may also increase the risk of other brain disorders such as Alzheimer’s. Most people recover from TBI with rest, but some medications may be used to help with the symptoms of TBI. Alzheimer’s disease is the most common form of dementia, affecting as many as 5 million Americans in 2014. While not much is known about how Alzheimer’s occurs, it is thought to be due to the buildup of certain protein plaques damaging the brain. Like other forms of dementia, it often starts with difficulty learning new information, and is further characterized by memory loss, difficulty doing daily tasks, and changes in mood, personality, and behavior. It is a progressive disease, with symptoms worsening over time. Certain risk factors have been identified, the biggest one being age. Symptoms usually occur as early as age 60, with the risk increasing the older a person gets. Certain genetics and a sedentary lifestyle may also increase your risk of Alzheimer’s. There is no cure for Alzheimer’s; however, certain treatments for the signs and symptoms can help improve cognition and better quality of life for people with Alzheimer’s. Synapsin® is made up of two components: Rg3, which is found in some types of ginseng, and nicotinamide riboside, which is found in cow’s milk. Rg3 is a ginsenoside, derived from Panax ginseng and Panax quinquifolius (Asian and American ginseng). Laboratory studies in cultured brain cells have shown it to have a neuroprotective effect, potentially by reducing inflammation in the brain. It is believed to do this by suppressing the activation of glial cells, the central nervous system cells responsible for inflammation, and therefore suppressing the release of inflammatory mediators, such as cytokines and TNF-α. Nicotinamide riboside is a form of vitamin B3. Laboratory studies have shown that it is metabolized by nicotinamide riboside kinase (Nrk) pathways or by nicotinamide salvage into NAD+. NAD+ is an important cofactor in several vital reactions in the body and has a neuroprotective effect. Early animal studies have shown the benefit of increased NAD+ levels in slowing Alzheimer’s processes. By increasing the amount of NAD+ in the body, nicotinamide riboside can support neuronal health and slow age-related changes in the brain. Synapsin® is not approved by the FDA and is not meant to directly treat or cure any disease. However, it can promote neurologic and cognitive health, which can help patients manage the signs and symptoms of brain-related disorders and improve their quality of life. Synapsin® is not commercially available. 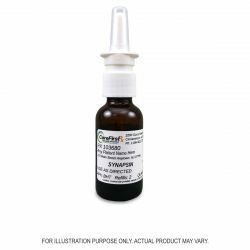 It can be obtained with a prescription from compounding pharmacies, who can make Synapsin® as a nasal spray to promote cognitive health. Centers for Disease Control and Prevention. Traumatic Brain Injury and Concussion. July 6, 2017; https://www.cdc.gov/traumaticbraininjury/index.html Accessed January 28, 2019. Centers for Disease Control and Prevention. Alzheimer’s Disease. October 1, 2018; https://www.cdc.gov/aging/aginginfo/alzheimers.htm Accessed January 28, 2019. Alzheimer’s Association. What is Alzheimer’s? 2019; https://www.alz.org/alzheimers-dementia/what-is-alzheimers Accessed January 29, 2019. Professional Compounding Centers of America. (2011). Synapsin® [product information]. Houston, TX. Suave AA. NAD+ and vitamin B3: from metabolism to therapies. J Pharmacol Exp Ther. 2008 Mar;324(3):883-93. A to Z: Concussion (2019). [image] Available at https://m.kidshealth.org/Nemours/en/parents/az-concussion.html [accessed 30 Jan. 2019]. 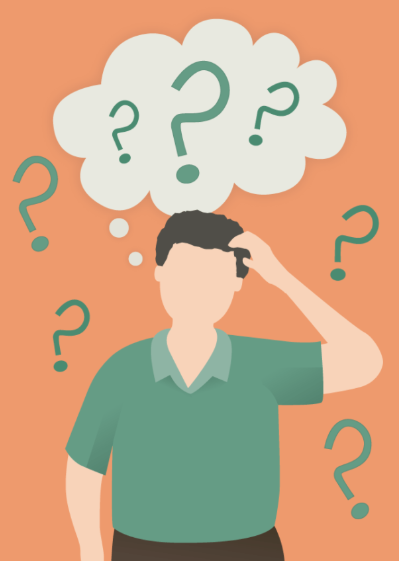 Memory Loss: Normal Aging or Dementia? (4 Aug. 2016). [image] Available at http://shine365.marshfieldclinic.org/wellness/memory-loss-normal-aging-or-dementia/ [accessed 30 Jan. 2019].